Medical Nail Techs - What Do They Do? What's Their Training Like? Medical Nail Techs – What Do They Do? What’s Their Training Like? Is Medical Nail Technician Just a Fancy Title? If you’ve never heard of a medical nail technician or an MNT, you might think that’s a made up certification in the nail technician world. The reality is that certified medical nail technicians offer specific and essential services for their clients and require training to do so… and yes, their salary is higher as well. What Do Nail Technicians Do? Nail technicians generally work in salons or spas. Their chief concerns tend to be the appearance of a client’s finger and toenails. 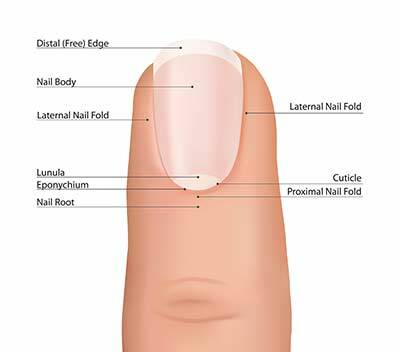 A nail technician typically removes old polish from nails, shapes the nails and trims them, and cares for the cuticles of each nail. From there, manicures, pedicures, and other nail treatments are usually requested by their clients. Other services, such as removing rough skin and calluses, are performed as needed. In general, you might say that nail technicians are concerned with the aesthetics of their clients’ nails. So What Makes a Medical Nail Technician Different? MNTs, on the other hand, are slightly different. Although a nail technician is concerned about keeping her equipment sterile and clean, medical nail technicians adhere to stricter sterilization strategies called aseptic techniques. This is incredibly important because a medical nail technician works with patients who have underlying health conditions, are medically compromised in some way, or who otherwise have a specific need for medical treatment of their nails. MNTs (also called podiatry technicians sometimes) can also perform a medical foot examination and often work directly in a medical office, such as a podiatrist’s office. As you would expect with greater training and responsibility MNTs also receive a higher salary too. The type of clinic that a medical nail technician has a job in dictates the full scope of the duties involved. Medical nail technicians are trained to watch for specific medical conditions that could further endanger the health and well-being of their clients. To find a nearby school use the form below. If you’re ready to become certified as a medical nail technician, then choosing the right school is vital. Even more vital is to understand that there are prerequisites for most of these programs. Many require that you are already a nail technician or an advanced nail technician. Schools such as the International School of Skin, Nailcare & Massage Therapy offer programs that can help you achieve your initial requirements to be a medical nail technician. In Canada, Academy Canada has an acclaimed nail technician program in multiple locations throughout Newfoundland. Across the country in Vancouver, the Blanche Macdonald Centre offers foundational nail technician courses. Chicago Nail School offers a program in Medical Tech Training or MTT for nail technicians. This workshop may have requirements that you need to meet before you can obtain the certification that you seek.